Samsung’s latest flagship devices bundle in several new features and capabilities, and they critically cap off these additions with shiny new black, silver, and gold color schemes, so the best way to protect the new device is the award-winning transparent CandyShell Clear from Speck. Samsung has done many things to improve the reliability of the new Galaxy smartphones, including new waterproofing and dust-resistance technology, but the devices will still be prone to damage from drops, scratches, and nicks. The latest Samsung devices combine the latest functionality and technology in addition to great new colors and designs, making CandyShell clear a perfect complement. Just like Samsung’s new phones, the CandyShell Clear is the whole package, offering a one-two punch: a completely clear design that also offers military-grade protection. Speck says that the CandyShell Clear is tested to meet or exceed standard military-grade protection tests and that its Clear case is the best selling on the market, so why not protect your new device with the best clear case available? 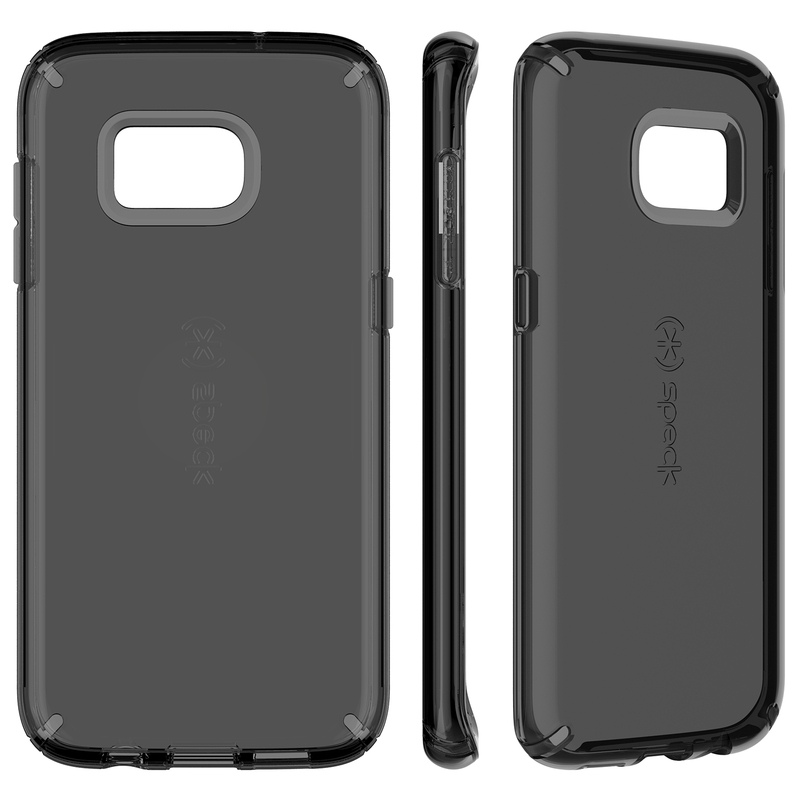 While the cases add barely any bulk to the new flagship Samsung models, they still manage to pack in two layers of protection: a hard outer layer to disperse shock on impact and a soft acrylic inner layer to absorb the shock. The backs of the new smartphones are glass too, which makes protection all the more important. You won’t lose that shiny new device feeling as these clear cases will keep their look from day one because they resist UV yellowing that appears on other clear smartphone accessories. The standard CandyShell Clear would look great on any of the new grey, black, and gold Samsung Galaxy S7 and S7 Edge colors, but we think that the Onyx version of the case, which adds a black hue, would look especially appealing when combined with one of the new black Samsung models. Both versions sell on Speck’s website for $39.95, and they are a small investment for protecting your new device while still keeping that day one shiny look.